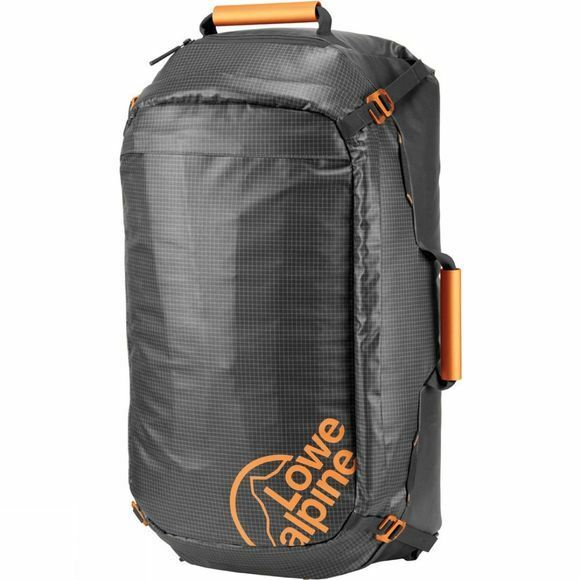 The AT 120 Kit Bag from Lowe Alpine is a bag suitable for adventure and travel in remote locations wherever you may need to take your items! It is made from ultra-tough fabric with minimal seams giving it a very sleek look. All lockable zips on the bag are tamper proof meaning you can travel knowing your items will be safe. It also has 3 grab handles allowing you to be able to move and travel with ease wherever you may be or travelling to! The bag also has two external zipper pockets allowing ease of access for items you may need quick access to such as a passport or wallet.